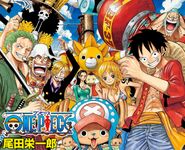 After suffering from esophageal cancer for the past year, the voice behind One Piece's Whitebeard, AKA Edward Newgate, and many more passed away at the age of 78 on February 1. Arimoto's career went way beyond one iconic role in One Piece. This is a Katsu News archive page. It shows how the site appeared at February 11, 2019, 1:00 AM JST.